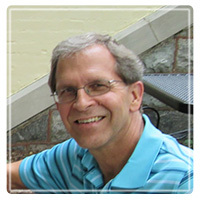 Goshen Therapist: Sheldon Swartz - Therapist 46528. Send A Message To Sheldon. Session Fees: $85 per session, $10 discount if paid at the time of the session ($75) with fee adjustments down to $60, depending on ability to pay (client determined). I may be a provider for your health insurance company. Born in 1953, I am the second of five children and grew up on a dairy farm in a small rural community in Michigan. A solid conservative Mennonite church was very much a part of our lives as a family – both of my parents taught Sunday School for years and in other ways served the church. After graduating from the local public high school I attended Rosedale Bible Institute (now Rosedale Bible College) near Columbus, Ohio for a year. I worked for a year in Cincinnati and then came to Goshen College from which I graduated in 1977 with a degree in Social Work. I married Velma Schrock in 1975 and we have four children together: Jennifer (married to Ben Bontrager, Jon (married to Rose Miller, Janelle (married to Simeon DiGennaro), and Jeff (married to Katrina Deisch). As of summer 2011 we have 8 grandchildren, all special of course! Upon graduation from Goshen College, I was employed at Teen Haven Youth Center for several years as a counselor, then as Director. After obtaining a Master’s Degree in Biblical Counseling from Grace Theological Seminary under Dr. Larry Crabb in 1984, I began a full-time counseling ministry to the community and continue that ministry to this day. In 1978 I was ordained as a minister for Maple City Chapel in Goshen and served as associate pastor until I resigned in 1992. In 1998 I was part of a leadership team which helped begin another church, Siloam Fellowship, whereI served as a co-pastor until the end of 2004. I have had ongoing interest in spiritual direction and received some training to give spiritual direction during 1999-2000. I meet regularly with a spiritual director as a one way of nurturing my own spiritual growth. In looking back I believe my interest in counseling and such issues stemmed from some of my own internal struggles, trying to reconcile the need to measure up to external standards and expectations with the need to be emotionally honest. Regrettably too often my choices reflected a willingness to sacrifice honesty for an appearance of doing well, but those choices were killing my spirit. I’ll be ever grateful to God for His goodness in using my desire to be helpful to others to lead me to a place (my two years in the counseling program) where my false sense of security and worth could come tumbling down and begin to be replaced by a heartfelt understanding of grace and inner freedom. While I still have to choose to let go of the old and rest in the new (it’s not first nature), something came alive for me through the suffering of looking honestly at myself and then at God’s provisions (all with the help of others) that gave me a hope that won’t go away. The longing to continue to know God in His love, grace, and holiness and for others to know the same continues to be a driving force in my life and relationships with others. My ministry philosophy is shaped by the conviction that spiritual life is ministered from the inside out. It begins with who I am in Christ and works its way out. The most significant work I do is nurture this inner life, responding to the work Christ is doing in and through those closest to me – my wife Velma, and my children. They should be the beneficiaries most affected by my life with God, but not the only ones affected. Others who should be touched by this life are those closest to me other than immediate family – my close friends, colleagues, those whom I counsel, and others my life touches. My ministry is also shaped out of convictions relating to the importance of the core units of society, the natural family, and the spiritual family. To the degree that health is fostered in these units, society is salted (preserved). Disintegration in these units is basic to societal disintegration. While I hold no illusion that God will save the world through the church, I do believe we are responsible to present to the world alternate communities that are life-giving for the building of the kingdom of God. The belief that God actively works to bring beauty and strength out of that which is ugly and broken is foundational to my ministry mindset. I believe that often persons who have been the most severely wounded by life learn to love God and others most deeply, as they learn to surrender to his love, truth, and guidance. I believe that there is nothing God cannot take and use it for good. There is no place too dark for light to shine. The route to experiencing this is often rough and involves embracing pain rather than fighting it, but often we find that in the long run it is our resistance to pain that is causing us more anguish than the actual pain itself. But God went to great lengths to give us true freedom of choice. After all, who ever wants a forced relationship with anyone?